New York: Simon & Schuster, 1965. First edition of Palmer’s second book. Octavo, original half cloth, illustrated throughout. Boldly inscribed by Arnold Palmer on the front free endpaper. Fine in a very good dust jacket with a few small closed tears. Jacket design by Paul Bacon. My Game and Yours is unlike any golf book. Palmer starts by saying that golf is essentially a simple game and that the only difficult thing about it is the way it's taught. So he teaches the reader four of five things his father taught him- and that's all. He shows how to practice these few things and thereby immeasurably improve your game. First edition of Palmer’s second book. Octavo, original half cloth, illustrated throughout. 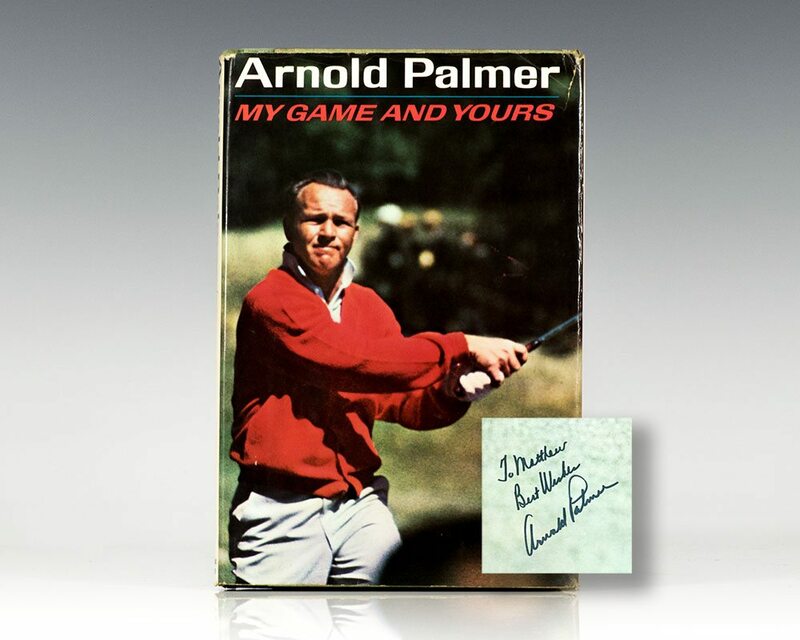 Signed by Arnold Palmer on a bookplate on the front free endpaper. Fine in a near fine dust jacket with a few small closed tears. Jacket design by Paul Bacon.